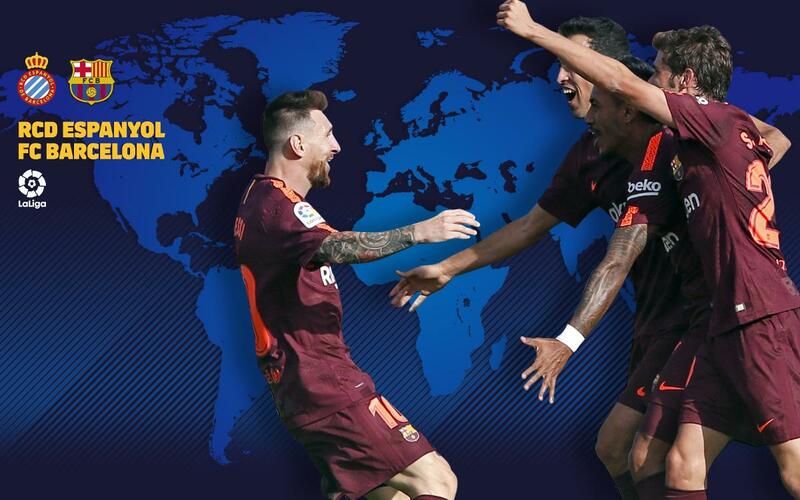 FC Barcelona heads five miles from Camp Nou this weekend to take on RCD Espanyol in what promises to be a riveting La Liga derby. Barça is still undefeated in La Liga and will be looking to avenge a defeat there in the Copa del Rey — Barça's only defeat this season! — just two weeks ago. The match will be shown live for free on the go90 app in the United States, and on many other television channels around the world that we will list below. You can also follow minute by minute coverage via the Club website, listen to live commentary in English on R@dioBarça, and follow minute by minute coverage on Facebook and Twitter.